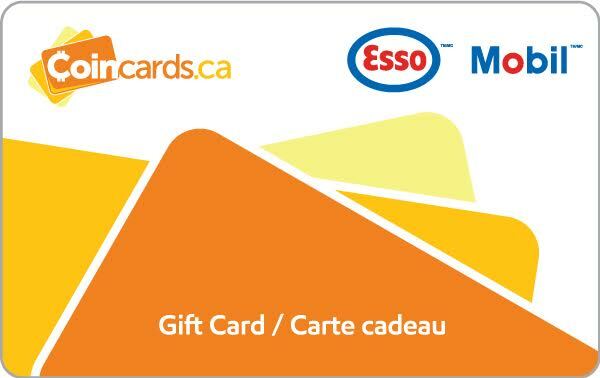 Convenient and easy to use, Esso and Mobil Gift Cards are perfect for people on the go. They are used to purchase all Esso and Mobil products and services, including gasoline, car wash, snacks and other necessities from approximately 2,000 service stations. Gift Cards are compatible with the Speedpass+™ App, allowing you to reload your account and pay at the pump with ease! Thought I’d test this out as my first Coincards.ca experience. Purchased a $25 gift card and it arrived via email very quickly. I transfered the $25 onto the recommended Esso App (Speedpass+) and it walked me through the process perfectly. The pump activated and I experimented with just $10 of the card. When I finished I looked at the app and there was a detailed receipt and a remaining balance of $15. I was very impressed with the whole experience and will purchase more. Works great and can be used on more than gas in the store i highly recommend.